Hancong Wu, a PhD student in the Institue for Digital Communiations, has won the prize for Best Student Poster Award in the 4th Conference on Impedance-Based Cellular Assays (IBCA2018). The conference covered all the aspects of impedance based-cellular assays from applications to technology development with a dedicated session on regenerative medicine. The awarded poster “Towards 3D impedance-based cellular assays with Electrical Impedance Tomography” supported Innovation Initiative Grant from the University of Edinburgh Development Trust in May 2018. 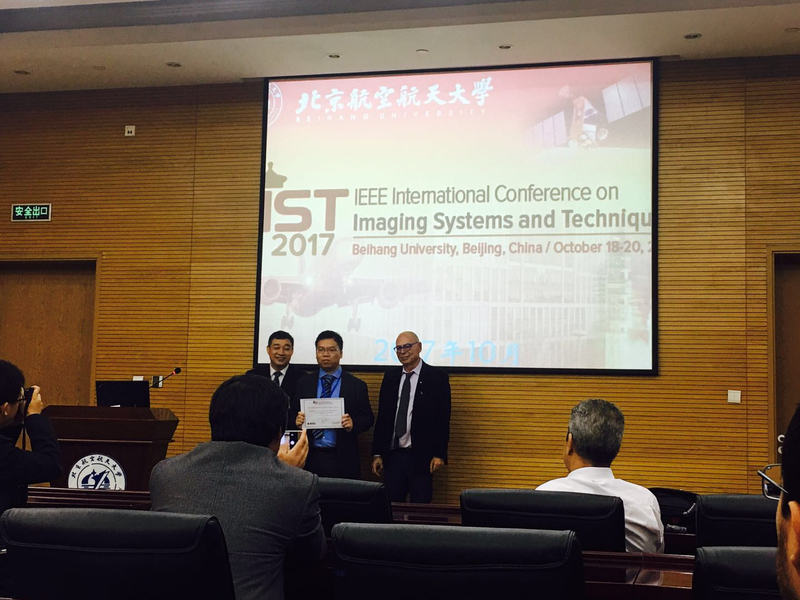 Hancong also received the Best Student Paper Award in The IEEE International Conference on Imaging Systems and Techniques (IST2017) in October 2017 for his paper titled “Imaging cell-drug response in 3D bio-scaffolds by electrical impedance tomography”. 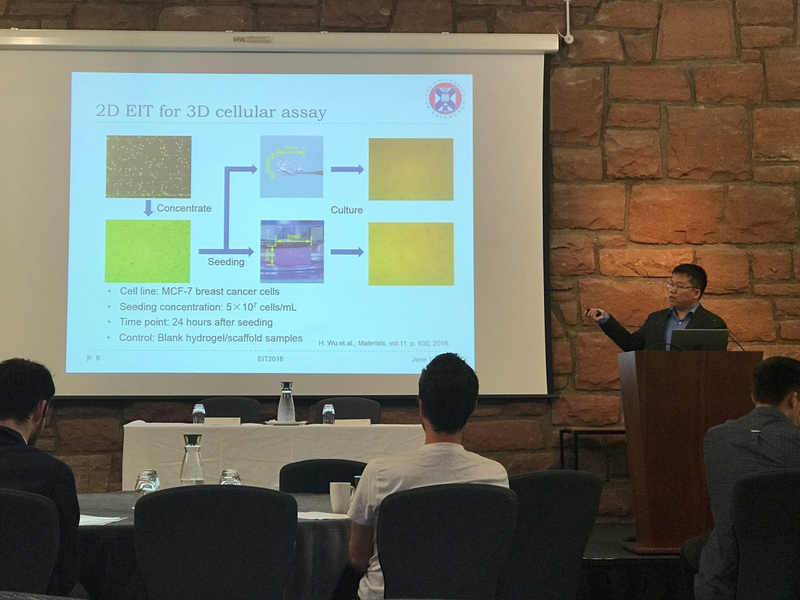 Superversied by Dr Jiabin Jia, Dr Pierre Bagnaninchi and Dr Javier Escudero, Hancong’s PhD research focuses on 3D cell culture monitoring using electrical impedance tomography. The study aims to develop a method to monitor the 3D cell proliferation and cell viability in real-time and in a non-destructive manner through the impedance measurements.